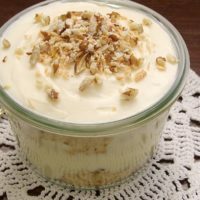 I’ve been putting together collections of my favorite recipes for a while now. How I’ve managed to neglect Bundt cakes is beyond baffling. Seriously, they are my favorite cakes to bake. No frosting, no layers, just cake! I also have a significant Bundt pan fascination. I want to own every kind there is. Alas, that dream is not to be realized in a New York city apartment. I have a standard Bundt pan and one that’s a little fancier. But, I’m always wanting more. I mean, surely I need this Bavaria Bundt pan. Or maybe this Belle pan. Perhaps I should dedicate some time and effort to efficient Bundt pan storage, and I can indulge a bit. Any ideas? Those various pans may make your Bundt cakes more aesthetically interesting, but they’ll still taste amazing in your old trusty Bundt pan, too. So, get out your pan and get baking with some of my favorite recipes. 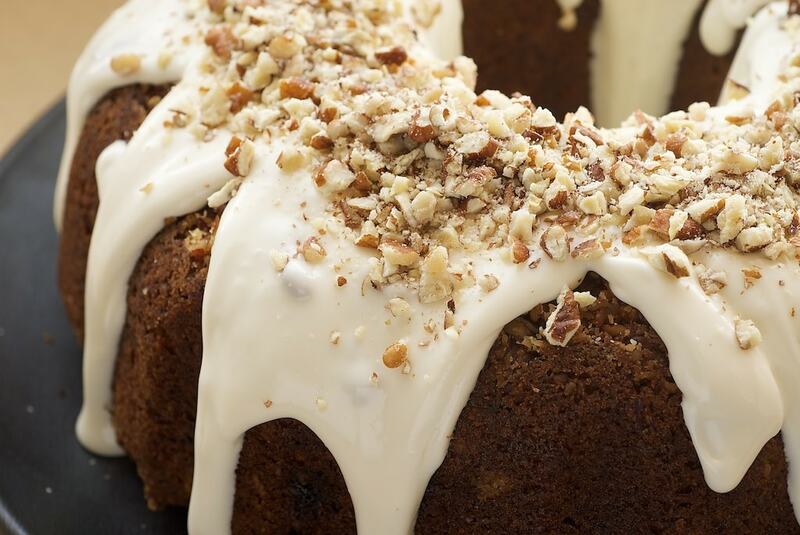 If I had to name my favorite cakes, Hummingbird Cake would be pretty high on the list. Somehow the combination of bananas, pineapple, and cinnamon just works. The presence of my old friend cream cheese frosting doesn’t hurt. 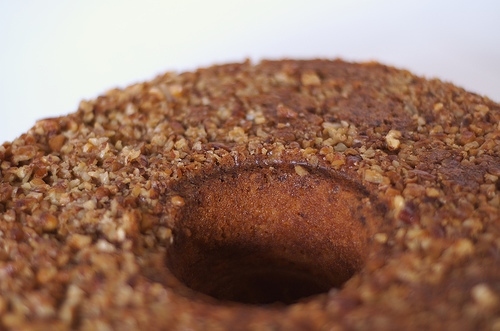 Hummingbird Bundt Cake has all the same magic but with a bit less effort. 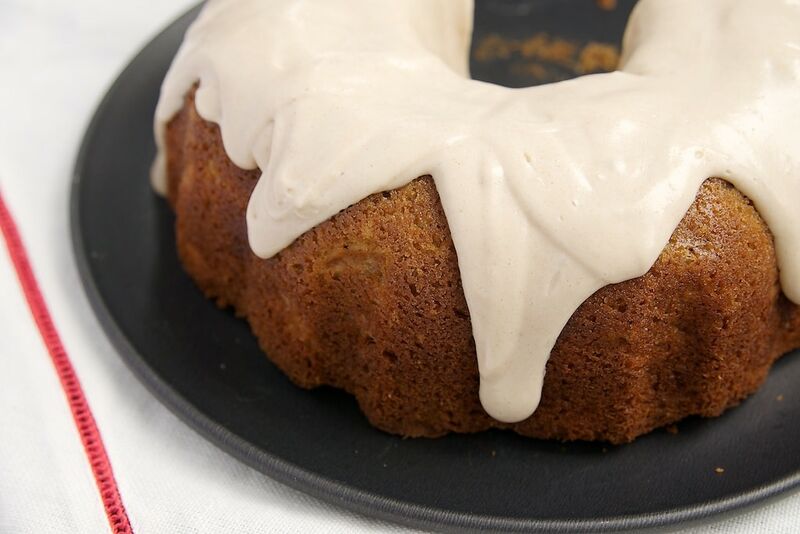 Instead of frosted layers of cake, you can make it all in a Bundt pan with a cream cheese glaze. Win! 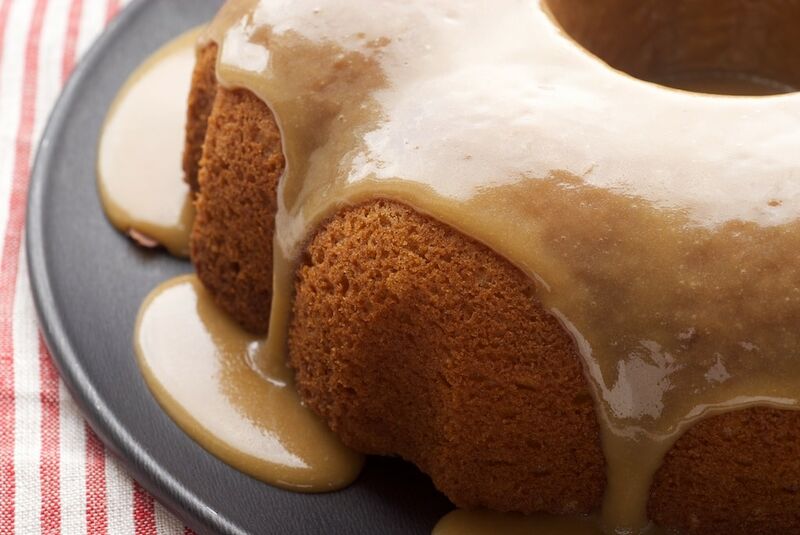 This Caramel Bundt Cake is a favorite of mine to make around the holidays. It’s perfectly good any time of year, but somehow it just seems like a fall or early winter dessert to me. It’s a great cake for caramel fans who are a bit caramel-challenged. Making caramel is not what I do best. The simplified caramel sauce on top of this delicious cake is the way to go for me. I can always get behind dessert that features chocolate and pecans. 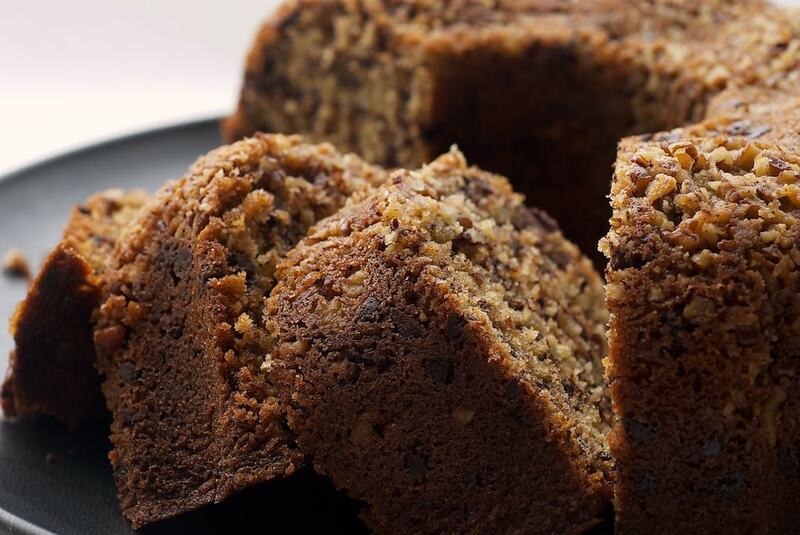 If that sounds good to you, too, then this Chocolate Chip Bundt Cake is just the ticket. 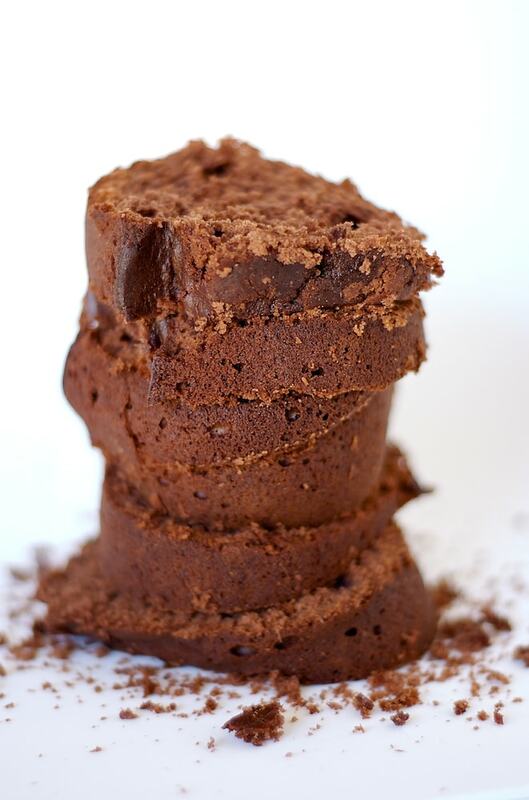 It’s tall and rich and packed with lots and lots of chocolate. That’s my kind of cake. Quinn is a big fan of all things cinnamon, and he’s made a believer out of me. 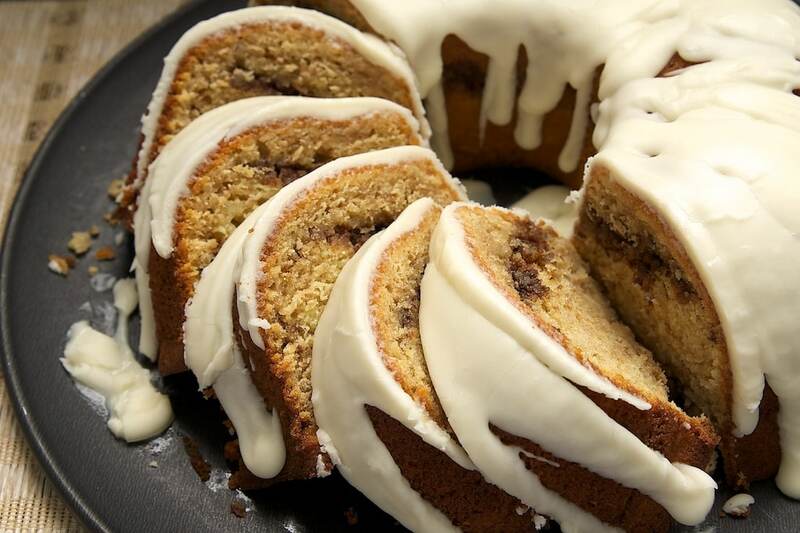 If you love cinnamon, too, try this Cinnamon Roll Cake. All the flavors of that gooey, cinnamon-y breakfast favorite are packed into this lovely cake. Serve this one up anytime from brunch to dinner. 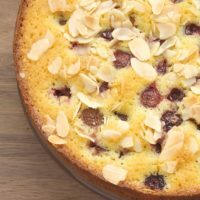 While I was making that Almond Cherry Cake this week, I thought about this divine Cherry-Vanilla Yogurt Cake. When I asked Quinn if he remembered it being really good, he agreed enthusiastically and suggested that we might need to make it again to be sure. I’d say that’s a ringing endorsement. While I highly encourage the use of fresh cherries, I know that’s not always possible, so feel free to use frozen cherries. My grandmother made a Rum Cake every holiday season. Even without the nostalgia, I know this cake is amazingly good. This is a great shortcut cake that begins with a cake mix and box of pudding mix. 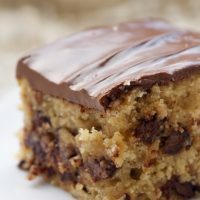 If you can bear waiting, make this cake a couple of days before you’re going to serve it to let the rum work its magic. One of my favorite baking ingredients is pears. Maybe part of that is because I associate them with fall, which is my favorite time of year. Regardless of my love of cooler weather, I always look forward to getting my first batch of pears and baking something delicious. This Spiced Pear Cake was born out of a bit of desperation and luck. I quickly needed a cake and spotted pears at our local market. I threw this cake together and couldn’t have been happier. Hold on to this recipe for cooler days and fresh pears. Your Bundt pan is also a good vehicle for pound cake, like this Chocolate Cream Cheese Pound Cake. I am a sucker for cream cheese. Plus all that chocolate? It didn’t take much convincing to make this one. Pair it with ice cream to push it over the decadence edge. As always, it’s hard to narrow down my favorites to just a few. I left out some great ones, like the Peanut Butter and Jelly Bundt Cake from earlier this week. 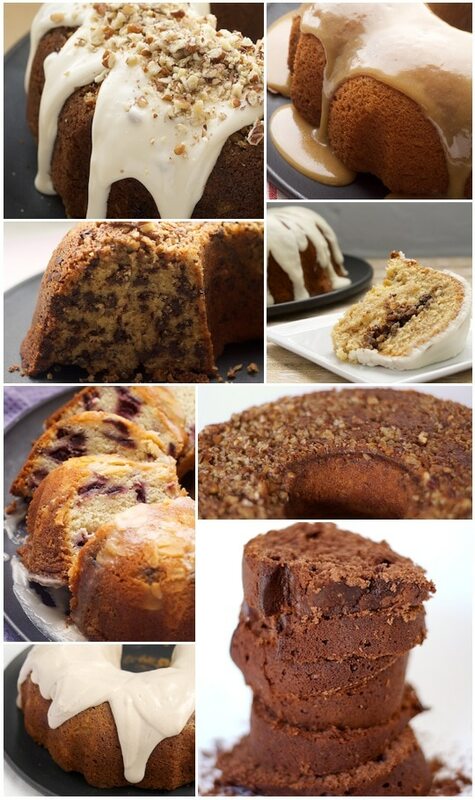 For more Bundt cake love, be sure to follow my Bundt Cakes Pinterest board. 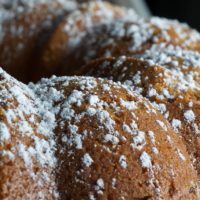 What are some of your favorite Bundt cakes? I am a lover of all things bundt particularly because I live at 6,500 feet and layer cakes tend to be temperamental at this elevation. I will have to try a few of these. As for your pan storage, could you hang them on the wall somewhere as a display of some sort? Sign me up for a piece of… all of those. But especially the chocolate chip and cinnamon variety. How do you get them to come out of the pan so cleanly? I butter and flour my heart out but parts of the cake always find a way to stick! Over the years I’ve purchased and been gifted many a bundt pan. While making very easy, impressive, tasty cakes, it is often excessive in size. Recently I purchased two (accck, MORE?) half-size bundt pans each of which holds 6 cups. One regular recipe makes two lovely cakes. Those as well as my half-size tube pans are my go-to. Even if having a party or gifting, it is a great size. Another two benefits: since they freeze well, it may be saved and iced/glazed for later gifting or a nice dessert for impromptu company. The only changes I make are doubling the icing or glaze and doubling any filling layers such as cinnamon sugar. 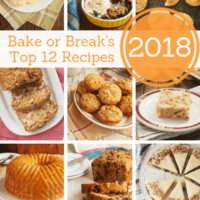 Since many recipes are similar, if choosing to make two separate flavors, it’s easy to split the batter and make two very different cakes with only one extra bowl. I abhor doing dishes. Thanks for the recipes. The wife of a guy I work with makes cakes for a of living (like wedding and birthday cakes). He brings Ziploc bags to work full of her cake trimmings. No butter cream, just bags full of red, brown, and white cake trimmings. Her cake looks (visual texture) and tastes amazing! The visual texture of your cake reminds me of the texture hers. Like dense yet moist and fluffy! She will not divulge her recipes. I look through yours to try to come up with a common thread. Anyway, your cakes are beautiful! I keep threatening to make one for my family! I like big bundts and I can not lie! Bundt cakes remind me of my childhood – so many fond memories of them. Thumbs up for all bundt cakes – big and small. They will never go out of “fashion”! Thanks for sharing. That cinnamon roll looks amazing! 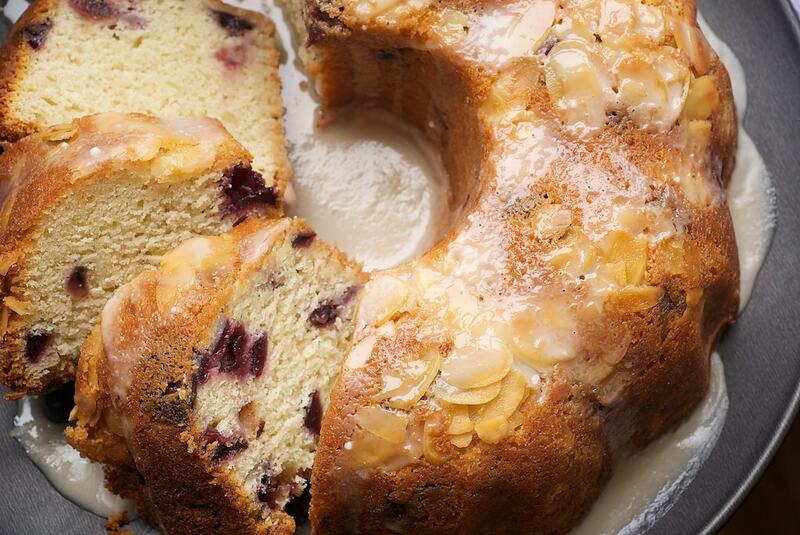 Growing up, the bundt cake was always the ‘fancy’ get-together cake. The icing dripping down the sides provoked ahhhs – especially if it was a lemon cake. I bought a mini-bundt cake pan (like bundt cupcakes) but haven’t tried it yet. I believe I’ll make some apple cinnamon mini-bundts tomorrow. Your photos are great! I am such a fan of bundt cakes as well. 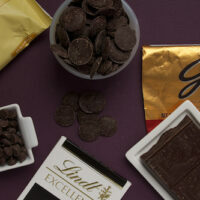 that last one….you can tell that one is nice, thick and decadent. that’s the one I want! !